Rising pharmaceutical costs has many Americans on the brink. The higher drug prices also lead to higher insurance premiums and out-of-pocket costs. Now, these increases can limit access to needed medicines. Taxpayers also shoulder the financial burden as drug prices increase public programs, at least the cost of public programs, to the government programs such as Medicare and Medicaid. Now, according to a recent poll of Americans, lowering prescription drug prices is one of the most important public issues concerning citizens, regardless of which party they belong to. Well, it appears that President Trump has a solution, an answer to reducing prices. To unpack all of this, with me I’m joined by Dean Baker. Dean is senior economist at the Center for Economic and Policy Research, and the author of the book “Rigged: How Gobalization and the Rules of Modern Economy Were Structured to Make the Rich Richer.” Welcome back, Dean. DEAN BAKER: Thanks for having me on, Sharmini. SHARMINI PERIES: All right, Dean, let’s start off with you describing for us what Trump has in mind to solve the cost of pharmaceuticals. DEAN BAKER: Well, the centerpiece of his agenda is making other countries pay more. So if you look at drug prices across West Europe, Canada, most countries pay around half of what we do in the United States. Sometimes considerably less than half. And the reason for that is simple: They negotiate drug prices. So if you look at France, Germany, other countries, they negotiate a price with the manufacturers, and they don’t, and they don’t let them just charge whatever they feel like. So they end up paying considerably less than the United States. Now, many of us, including Trump during his campaign, suggested we should do something like that here. That the prices here were too high, and we’re going to pay them lower drug prices. What President Trump proposed is, in effect, just the opposite. What he wants to do is make up those other countries pay more. So France, Germany, they would pay something closer to what we pay in the United States, at least if Trump has his way. And his argument is then our drug companies can charge us lower prices. So it’s a rather backward way, and I don’t really know anyone who thinks it’s going to lead to lower drug prices in the United States. It’s very clear it will lead to higher drug company profits. But it’s very hard to see how that ends up at the end of the day getting us lower prices in the United States. SHARMINI PERIES: And this undoubtedly helps the pharmaceutical companies and their profits, and their stock prices, and so on. Explain the impact this suggestion on the part of Trump will have on pharmaceuticals. DEAN BAKER: You know, it’s kind of straightforward that if you say, OK, Europe, we’ll say on average they’re paying 50 percent of what we pay for drug prices. That would be a good ballpark number. And let’s say that Trump is able to pressure them to pay 60 or 70 percent. That’s pure profit. I mean, there’s literally a 100 percent additional profit for the drug companies, because there are no additional costs associated with that. They’re delivering the drugs just as they were previously. But instead of getting 50 percent of what they got in the United States, they’re getting 60 or 70 percent. That’s a big increase in their profits. And we saw that their stock prices jumped as he was making this speech, because they may have been concerned that there might actually be measures that would reduce prices in the U.S. Instead, at least insofar as he’s successful, I wouldn’t bet on these other countries are just going to bend over. But insofar as he’s successful in getting them to pay higher prices, that’s more money in their pockets. SHARMINI PERIES: All right, Dean. Now, many people argue that these higher pharmaceutical costs or drug prices for us is really in order to help the pharmaceutical industry do better R&Ds, and come out with solutions, and solve some of the great health issues of our times through research and development. Is that a fair argument? DEAN BAKER: Well, there’s a couple of points to be made. First off, they get plenty of money to carry on their R&D. According to the National Science Foundation they spend around $50 billion a year in R&D. If you look at the difference between what they, what they get in terms of the prices and what it costs to manufacture the drugs, that’s somewhere in the order of $380 billion a year. Back of the envelope calculation, that’s way more than what they spend on R&D. So if you said, okay, let’s raise the prices further, will they spend more on R&D? Sure, some of that will go to R&D, but we might be talking about a dollar for every 10 cents in additional R&D, a dollar in higher prices. It’s a very, very bad deal. The other point is that we should really be looking to get away from, it’s a very, very perverse way to finance research. So in effect what we do is we tell the drug companies to do the research, then the government goes, we’re going to give you a patent monopoly. We’ll let you charge whatever you feel like. So who’s going to pick up the tab? Well, people who are picking up the tab are people who are sick, people who are dying. Now, many of these people have insurance, or they are on Medicare, Medicaid, a government program, so they get the government to pay for it. But nonetheless, it’s a rather perverse way to pay for the research costs. The research has already been done. So at the point where someone needs a drug, even if it’s a really expensive drug, almost invariably, it would be cheap in a free market. Take away the patent, and in almost all cases these drugs would be relatively cheap. We’d be talking about hundreds of dollars, not hundreds of thousands of dollars. So this is a very, very perverse way to finance the research. My argument’s been let’s pay for the research up front. We already pay for a lot of it through the National Institutes of Health. Let’s pick up the rest of the tab and then let people buy the drugs, have them sold in a free market like generic aspirin, and then we won’t have to worry about these really expensive drugs. 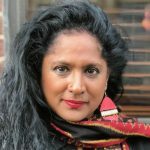 SHARMINI PERIES: Now, in places like Canada, where the price of drugs are actually negotiated by the government, and the pharmaceuticals have to sell it for that price. But those prices have also been increasing recently. I was looking into the figures, and in Canada now has one of the highest drug pharmaceutical prices on the shelves. Why is that happening, and what will this plan do to countries that already have, obviously less cost than the U.S., but are already up there? DEAN BAKER: Well, you still have a story where the drug companies have their monopoly. So Canada has to say, OK, are we willing to pay this much or do without the drug? And if it’s an important drug for people’s health, people’s life, they’re very reluctant to do without. So drug companies play hardball. I mean the governments do try to get the prices down, but the drug companies play hardball, and they say, OK, are you not going to make this drug available to your people? And there have been incidents where drugs that arguably were important, effective drugs for at least a limited number of people, limited in the sense that there’s a limited number of people stood to be helped by them, that you’ve had countries, I’m thinking of the United Kingdom in particular, that they’ve said, we aren’t going to pay for that drug. It’s too expensive, given its benefit. And that’s a very, very tough call for a government to make. So you have someone who might be dying of cancer, or some other terminal disease, and a drug that could help them. We don’t know for sure it will, but could help them. And you go, well, it costs too much money. We’re not going to, we’re not going to pay for it. So the drug companies play hardball, and they’re getting the prices up in other countries. And you know, Trump’s plan would make that easier, because it would put the muscle of the United States government behind them. It’s already been behind them, I should point out, because there are options. For example, countries can issue compulsory licenses, where it says, OK, we tried to negotiate. You didn’t give in. We’re going to let other companies make your drug. And you’ll get a fee, you’ll get a license, licensing fee, but it’s not going to be a $100000. It might be a thousand dollars. Might be $5000. It’s not going to be $100000. They can do that. They’re allowed to do that under, under the TRIPS agreements. But we do our best to discourage countries from issuing licenses like that. 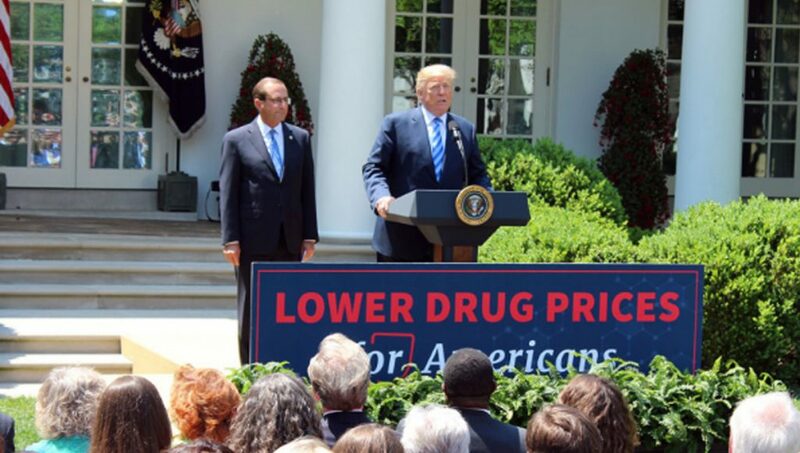 SHARMINI PERIES: And ultimately, coming back home here to the United States, now, will Trump’s plan actually to reduce the price of drugs for people? DEAN BAKER: It’s very, very hard to see that. Basically, if the drug companies-. Drug companies are in the business of making profits. I’m not calling them bad guys, or anything. They’re there to make a profit, and if they’re being honest, that’s what they’ll say. So you go, OK, so you’re charging $30000, $40000 for this drug now. You’re able to charge more in Germany or France because Trump has strongarmed them, and now they have to pay more for it. Why would you lower the price in the United States? Are you going to tell your shareholders, oh, we decided to be good guys? I don’t think so. So it’s very hard to see it having any effect on prices in the United States. What it might do is a little bit more money for research, as I said. If their profits go up, sure, some of that will go to more research. But the vast majority, that’s just going to be paid out to shareholders as dividends or buybacks. SHARMINI PERIES: All right, Dean. I thank you so much for joining us today.